When a seemingly large ship with little value begins to sink, choosing to flee as soon as possible is often more sensible than paranoia. In recent years, the micro-passenger market is facing such a situation. Wuling, Chang'an, and Kai Rui have all accelerated their pace of liberation. This year, they have launched new vehicles to locate MPV, which is undoubtedly the â€œlife buoyâ€ that they can rely on during landing. On July 23, Kairui Automotive Microelectronics launched the official launch of the 2nd generation of the elegant Swiss Open, which is an entry-level MPV positioned in the â€œfront-driver commercial vehicleâ€. Through the optimization of space, appearance and interiors, the wheelbase and body length are increased, while its aesthetics and ride comfort are also increased. Similarly, SAIC-GM-Wuling, which holds 50% market share in the micro-compartment market, will also launch the new model Wuling Hongguang S on August 6. The car has been upgraded and redesigned from the aspects of appearance, interior, and power matching, and it has been fully equipped for cars. Among them, the power system was replaced with a P-TEC 1.5DVVT engine from General Motors, and the vibration and noise optimization effects were significant. In February of this year, Changan Automobile, another giant in the micro-commercial market, also launched its new model Olivier, which is designed to adjust the micro-product structure. The car is a pre-precursor, with 1.2L and 1.4L displacements, and it uses a new engine and chassis that is different from conventional microbuses. In fact, the micro-car companies have introduced new models of cars that are derived from market demand. According to data from the Federation of Travelers and Delegates, cumulative sales of the micro-bus market amounted to 766,000 units in the first five months of 2013, a year-on-year decrease of 7.7%, and the figure for the same period last year was a decrease of 4.2%. Yang Jie, General Manager of SAIC-GM-Wuling Sales Co., said that the consumer's escalation of consumer demand is the fundamental reason for the continuous shrinkage of the traditional micro-customer market. Minor private owners started by relying on two or three thousand microcars in the early stage. After accumulating certain wealth, they will generally upgrade the original car during the second car purchase. This will also enable higher-level, higher-priced minicars. Become their first choice. In this regard, Wuling and Changan, leaders of micro market, have received more and more mini-car companies after the introduction of their first batch of compact products, such as the compact MPV Wuling Hongguang and Changan Ono, which were introduced by consumers. "Commercial transfer" attempt. 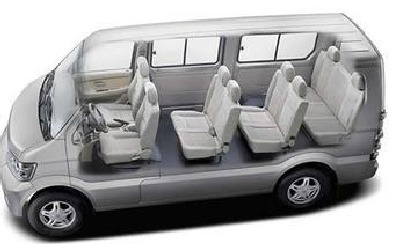 As a leader in the micro-bus market, Wuling naturally has the guts to take a bigger step in the â€œescapeâ€ micro-market. If the previously launched Hongguang models were also dubbed the "micro-micro-commuter" title, now in the Wuling discourse system, Hongguang S, which has become more car-oriented, has begun to deliberately draw a line with micro-customers. In fact, the actions of Wuling and Changan to rush into the passenger car market have already begun. At the end of last year, Wuling Chang'an, the two largest mini-vehicle companies, had collectively communicated with the China Automobile Industry Association. They hope Wuling Hongguang and Changan Ono will be included in the statistics of passenger vehicles. Since February of this year, Wuling Hongguang, Chang'an Ono and other models that originally counted the statistics of crossover passenger cars have been included in the M PV statistics. Wuling Hongguang, which sold nearly 50,000 vehicles a month, has no suspense to firmly occupy the top spot in the sales volume of the M PV market. And Yang Jie also frankly, including M PV statistics, will enable more users to buy M PV models in the purchase process to focus on the Wuling brand. Not only that, in order to allow Wuling's marketing system to adapt more quickly to the shift from commercial vehicles to passenger vehicles, Wuling also plans to â€œtest waterâ€ sales of Wuling Hongguang S in some Po Chun Networks. It is worth noting that the tens of millions of possessions and the demand for consumer upgrades in the micro-customer market have become the motive force and confidence of Wuling, Chang'an, and Kairui, etc., in the transformation of micro-vehicle companies into cars, as well as the embarrassment of potential competitors. With the introduction of the 1.5L model of the SAIC-Nissan SUV, the CDV model with a sedan platform and a pre-engine front-runner has also gone down to a price of less than 70,000 yuan. Guo Hongjun, the minister of Zhengzhou's Nissan Market, told the Southern Reporter that Zhengzhou Nissan will use micro-customers to upgrade the market with product and marketing measures.